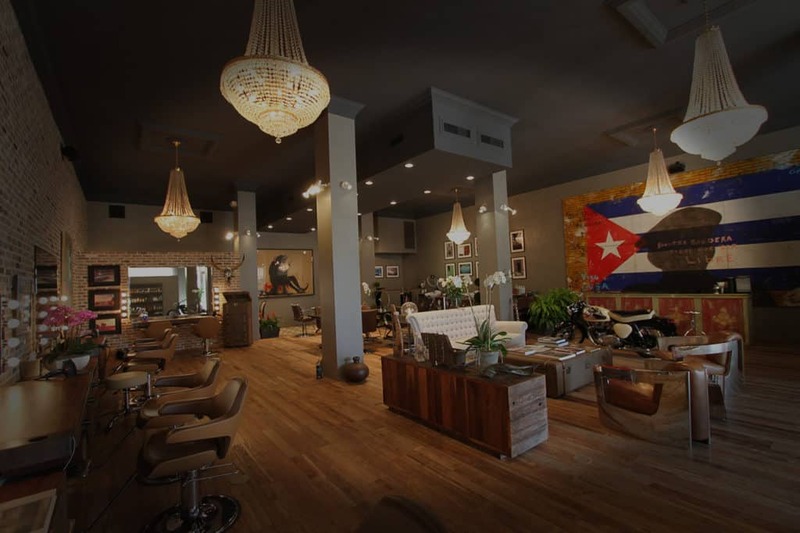 Five years ago Indoteak Design was approached to provide beautiful flooring for one of Palm Beaches most renown salons: Le Bazaar. The stunning interior of the Salon is open and inviting. 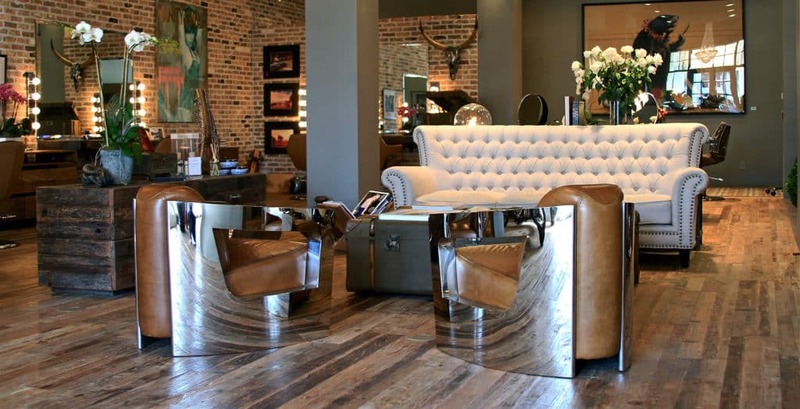 The natural Patina flooring from Indoteak Design sets the mood of the space. 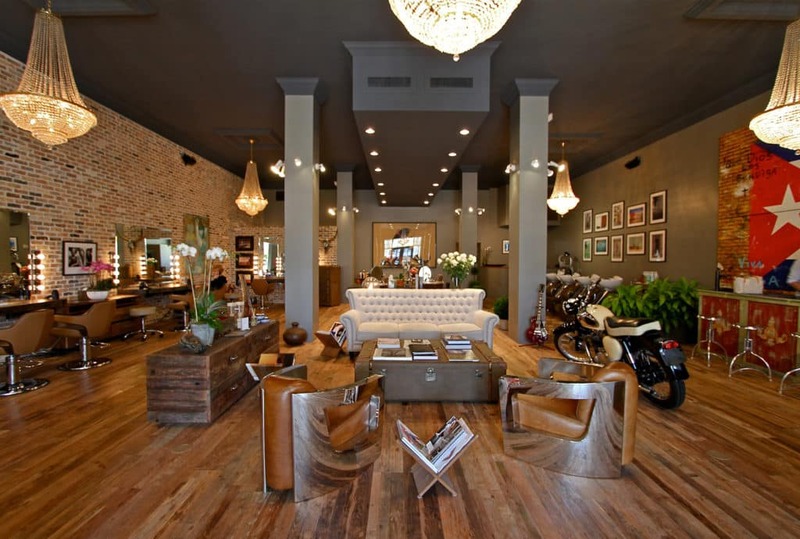 Chic meets rustic in this amazing Palm Beach salon outfitted with patina flooring from Indoteak Design. Bernard Arapaglou, one of the world’s most trusted and talented stylists, was born in Marseille France, where he also debuted his career. He later moved to Paris to work at Jean Louis David International Salon, where he quickly built his reputation in the fashion industry collaborating with prestigious designers such as: Christian Dior, YSL, Chanel, Jean Paul Gautier. Bernard has also worked with renowned editorial stylists, Michael Aleman, Odile Gilbert, and JC Gallon. After building strong relationships with some of the most influential leaders in the beauty and fashion industries, he was named Creative Director of Maison Carita in both Paris and Cannes. Continuing his journey, at the age of 30 he moved to New York to work at Frederic Fekkai. 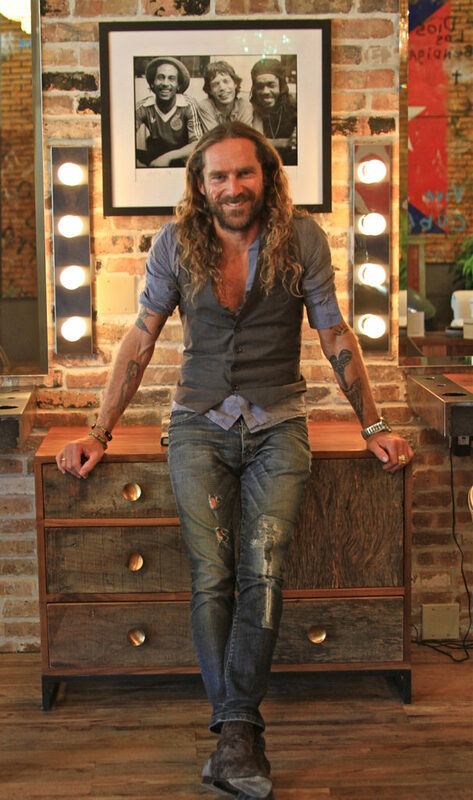 After 12 years with Fekkai, 7 of them as Creative Director of the Palm Beach salon, Bernard wanted a venue to express his “own vibes.” He then partnered with his long time friend Dris to open Le Bazaar. Beyond his passion for hair, style, design, and music – and making women feel beautiful – Bernard is an adrenalin junkie who loves to race motorcycles, surf, and travel. He believes that everything you do outside of your craft adds to your vision of the world and ultimately turns your craft into art. Through his authentic and unlimited approach to styling and boundless passion for life, Bernard continues to discover new ways to keep the women ever more beautiful, and just as important, feeling ever more beautiful. Bernard is not just the master of his craft. He is also the artist of the beautiful. During summer vacation, that dream quickly changed when he and his best friend, “for fun only,” accepted positions at a famous hair salon in his home town. Fernand Olive is the man who changed everything for Dris. After four years of training with Fernand, Dris became one of the 5 top stylists in France and part of the French National Team. What was once “ for fun only” had now become his passion and profession. After much success and recognition representing France, Dris elevated his career to the next level by moving to Paris. There he collaborated with amazing professionals including: Ottombrino, Jean Saberny, and Jaques Dessange. His talents were showcased on many photo shoots and fashion shows for some of the top designers in the beauty and fashion industries. The next step on Dris journey……. New York! Frederic Fekkai offered him a job at his flagship salon located in the Chanel building. Here he met Bernard. 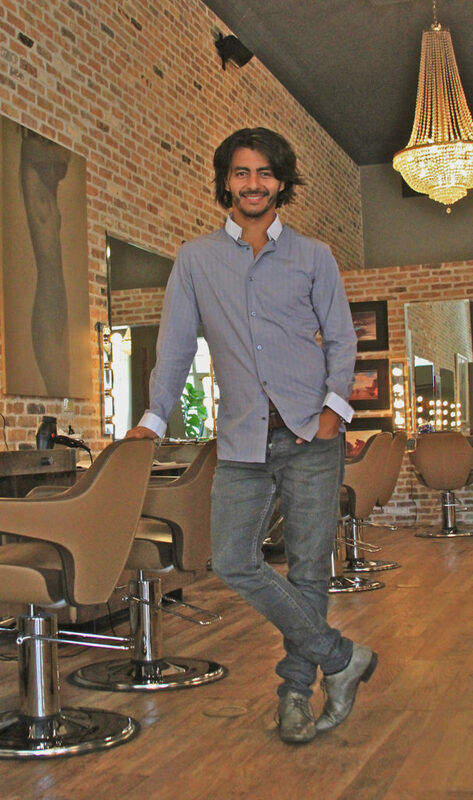 After one year, Frederic recognized Dris as a leader and offered him a position at his new Palm Beach salon. Dris and Bernard both relocated to Palm Beach, where these two extremely talented artists became fast friends, inseparable in their shared personal experiences, inseparable in their commitment to professional excellence, and inseparable in their vision for the perfect client experience in style and styling. After many great years of learning and perfecting his craft, Dris, along with Bernard, decided it was time for them to start a new chapter in their personal and professional lives and in the world of style…….Le Bazaar.